Before we get to the meat of the Introduction, it is important that we cover how this guide will be focused, because that focus will largely be restricted to providing you, the player, with the information and the resources that you need to succeed in playing this game. That means that the sections that follow will be carefully tuned to provide you the goods without a lot of unnecessary text to clutter up your access to information. If that strikes you as odd, well, consider this: most of the information that you need to better understand the underlying foundation for the games and their history will be found in this Introduction, which will be filled with lots of words, but once you have that information, save for a bit of humor and cheeky observations in the basic overlays that will introduce each of the following sections, there really is no need to drown you in details or anecdotes. In other words, while we like the idea of entertaining you, we like the idea of helping you succeed a lot more! Still, we did not set out to present you with a series of pages that contain nothing but numbers and step-by-step instructions, rather we set out upon this to provide you with Strategies, Tips, hints, and the information that you really do need to make a go of this. Having said that, if there are gaps in the information that is presented, or you genuinely feel that more detail should be included, more history, or what have you, that is when you should comment using the comment system for the specific section pages to let us know that, so that we can tailor each section to better serve your needs. 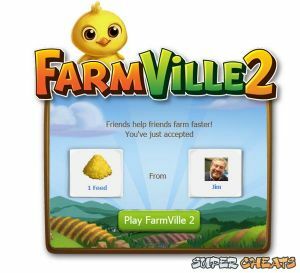 When the original Farmville was first introduced to the Facebook community the entire notion of what constituted a social networking game was very much still being determined, and what constituted a social networking simulation game? Who could say? It turned out that through Farmville the then small game development studio Zynga was about to help to define that and more, and it also turned out that the idea of a game in which the players simulated growing farm crops, raising and tending to farm animals, and otherwise helping each other out with the different if simple challenges that were built into the game as part of its goal-oriented structure was one of those situations in which the game developer had struck just the right chord and at just the right time. 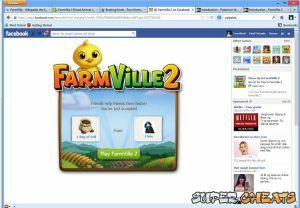 Farmville took Facebook by storm and ended up being disproportionately and wildly popular. Perhaps it will help to remember that this was 2009, and it did not hurt that in many respects Farmville was similar enough to the previously successful game Harvest Moon that the learning curve for most players was practically non-existent! That and under the skin it was not only a fun game, but it was one of those rare games where your cleverness and the fortunate circumstances of being employed in a cubical farm meant that you could take a few minutes every other hour or so to log in and make your moves, harvest your crops, and otherwise steal a few minutes from your employer for a bit of illicit farming fun. That is an ideal circumstance for play in a game whose basic game play model revolves around a simple and predictable pattern of creating crop space via the grid-based squares that make up the land allocation system, putting the land that the player has designated as crop space under the plow, and then selecting from the seeds that are available to them based upon their current level and, to some extent, whether or not there is a special event or activity underway that offers limited time or rare license-based seeds. Once the seeds are planted the player then needs to return at predetermined intervals to harvest the crops or risk their rotting in the field. In addition to the basic farming mechanism in the game, there is also present a well-expanded system for raising and harvesting farm animals as well as pets, though that system and the resources that are obtained from it can be a bit confusing. It helps to think of the animal side of the game as more coin-oriented than resource oriented, but as the game continued to expand its content and complexity with the addition of special order farming and a two-phase Crafting system that was itself expanded to include additional buildings, recipes, multi-player elements, and a reward-based focus, the game took on a much more intense and entertaining format that elevated the notion of near-instant gratification to new levels! Farmville, for all of its complexity, multi-player and cooperative elements, and interesting graphical world, was at its core a browser-centric Flash-based game whose strength was in its limitations. The number of “moves” that were available to the player originally came in the form of what is essentially Actions based upon available resources and the ever-present timer, so that once the player had initiated all of the available crop squares for planting and services the animals that were part of their farm, what was left focused primarily upon Crafting and Special Events, and the ability to tinker with the Layout and the capabilities of your individual farm with a focus upon buildings that offered specific actions or effects. This is no loner the case. 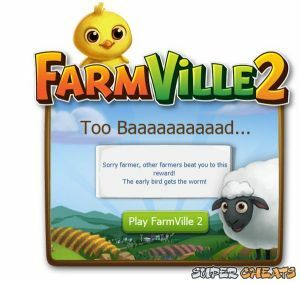 Once the development team found the niche that would come to represent Farmville as an independent genre on the social networking platform, they naturally turned to a very aggressive theme-based expansion program whose focus was the addition of new and geographically-based farms to which the player could “travel” to and begin to play at once they completed what was often a complex series of missions and quests whose ultimate reward was the unlocking of access to first the travel system, and then the farms themselves. The first expansion was the English Countryside, and the development team nailed the look and feel of that, basically doubling the daily moves and resources available to players. Over the course of two years they added a New England themed farm, a Hawaiian themed farm, a great white north themed farm, and eventually a farm that was based upon the most obvious stereotypes of Asia. If that sounds like it is a stretch or that it unnecessarily complicated the world of Farmville, well, no, it didn't! The operative point being that save for the original farm, all of the rest of this was largely optional and voluntary in nature. In simple terms, the player could choose not to play in those new environments without there being any real consequences, and many did choose just that. Valuable items can be found on your mate's wall postings! To truly appreciate the concept of Farmville and its nearly perfect execution, you need to understand the revenue stream upon which it largely is centered around. Save for specific rare or special crops, animals, objects, and buildings – many of which are highly desirable but cost real world money to obtain – the game could be played without actually spending a single real dime. Granted taking the no-money-spent route was far more time-consuming and difficult, but it could be done. That approach served as the basis for the original Unofficial SuperCheats Farmville Guide, and using the basic and some advanced Strategies we were able to help players eek out the full measure of the entertainment potential present in the game without having to resort to paying for progress, and Ceiling Cat saw that it was good! If we actually examine the economic model though, the primary stand-out feature largely is focused around time. By spending money – real world money – the player could remove the elephant in the room, or more accurately make the elephant do what they wanted it to do, when they wanted it to do it, by eliminating the hold ups that time requirements largely forced upon them. At its most basic level the act of plowing and planting seeds for the desired crop could be completed in as short or as long a time period as the player desired, but once those seeds were planted and that crop was being grown, the time element came into play. Depending upon what seeds were planted the grow time could range from just a few minutes to several days, and the longer it took for a crop to grow, the more it was worth in terms of Farm Coins, and the better the potential rewards were. By spending Real-World Money the player could skip over the required time, activating their crop-duster airplane to fly over the fields and spray the crops with instant grow chemicals, so that a farmer with deep pockets could rapidly complete mission and quest-based crop growth with ease and convenience. Exchanging money for time also meant that players who were willing to spend a little – or a lot – could rapidly progress in rank and level in the game, obtain a larger farm via the expansions, and in other ways trump the efforts of their mates who were taking the longer and some say more rewarding route of not spending money, but rather spending time. The economic foundations for the game separates into two basic paths: Farm Bucks, and Farm Coins. Crops pay off in Farm Coins, which are relatively easy to obtain and are used to purchase all of the standard and non-premium goods, resources, Items, and based upon attaining the required level and rank, Farm Expansion. Then there are Farm Bucks, which the player either purchased with real-world funds, or very slowly unlocked very small quantities of which they carefully saved up by leveling or completing other quests, and then used – again sparingly – for strategic purchases. The folks with access to lots of Farm Bucks found the road ahead to be smooth and convenient, while the players who did not have access to a large supply of folding green Farm Dollars found that playing the game strategically was far more crucial to their success than any other factor. 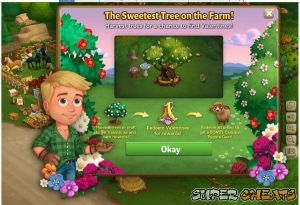 Naturally the Special Events, and the highly desirable premium Items required Farm Bucks to obtain, and therein lies the secret to the incredible success and profitability of the game both for its studio, Zynga, and for Facebook, who took a significant percentage of the monies spent by players right off the top. In essence what Zynga created was about as close as you can get to a license to print money without running afoul of the feds, and in some ways it was even better than that, since the motivation that caused the average player to fork over their Real-World Money was the twin demons of happiness and satisfaction! You are now in possession of the secrets behind the success of the game, and conversely the secret to understanding how to play it and the elements that you must consider in choosing which path you want to take. With years of development, loads of premium content (a lot of which really is rather cool while at the same time serving dual roles as facilitation resources and bragging rights), and the key to your identity as a player. 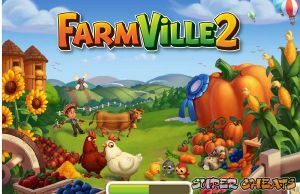 Naturally a sequel to Farmville – which incidentally has set and still holds a plethora of records for factoids like popularity, growth, profit, and expansion in the arena of social gaming – was in the planning stages early on. Fortunately rather than simply repackaging the first game in a new version with different theme-based farms, the folks at Zynga chose to go in a different direction entirely, and so the launch of Farmville 2 in September of 2012 heralded not simply a new set of agricultural worlds to conquer, but a recasting that featured the player as the focus rather than the farm. What are we talking about? Read on! the feed is a valuable source for resources thanks to your mates! The game world in the original Farmville consisted of a lightly cartoonish avatar whose presence on the farm and in the game was widely viewed as something of a nuisance by many players, in fact the actual player-character in Farmville was so annoying that it became a routine and expected practice to build and maintain what amounts to a player trap on your farm that severely restricted the movements of both your own player-character and that of the player-characters of your mates who visit your farm to help out or just see all the good stuff you have and have unlocked, trapping them one-and-all in the center of the farm so that their slow, ungainly, and often dumb pathing did not slow down game play! Creating a character trap was not simply a matter of convenience but one of necessity once the average size of player farms grew. The reason for that has to do partly with human nature. You want your mates to visit your farm and help you with the different aspects that they can, but if you have a large farm and no character trap, they won't visit. The reason has to do with how slowly their character will navigate on your farm, and how messed up the pathing is, and with the fact that any activity that the try to help you with if performed on a farm that lacks a character trap will require that their character physically move from where they start to the location of the activity, and so on. If they are caught in a character trap, the activity commences immediately and without delay, since their character cannot physically move to its location. Most players of the original game considered your efforts in creating a character trap to be a kindness. With the player-character far from the focus of the game, the actual focus turned out to be the farm itself, its buildings, its capabilities, and all the special Items with which you decorated and equipped it, from blimps to hot air balloons, rare buildings, animals, and items being of considerable importance and a highly desirable element. As a result of this the average player spent considerable time and effort planning out the Layout for their farm, stacking up the rare animals and items, all the while doing this as cleverly as possible so as to offer these bragging rights for display without adversely impacting the function of the farm! When Farmville 2 arrived on the scene gamers who had become masters of this art of play suddenly found themselves confounded by an entirely new and strange focus that placed far more emphasis upon the player-character than any other factor in the game! Not only was this a 2D and almost 3D world in which the point-of-view was far closer and more intimate to the player-character, it turned out to be a game world in which the player-character has far more intense an impact than was the case with the original game in the series! In addition to making the game play experience a far more personal one, this new focus adds an edginess and a more intimate feel to the game and your relationship to the player-character who, for most gamers, really will end up being an avatar representing their real-world personality than not. If you are in doubt or worried that your comfort levels coming from the first game will somehow be knocked out of place by this, fear not, as this really is a good thing. but the rarer the item the more likely it will already be gone! Success in this new and brave world of farming comes at a price – in this case a learning curve that will be steep at first, but gradually grow shallower. The important thing for you to understand and accept is that we have your back. This guide from start to finish will equip you with everything you need to know, and instructions on how to accomplish it, so that you can succeed easily and painlessly. What is more it is written so that you can literally drop into the section you need without having to deal with the previous sections, because it is structured relationally. After we cover a summary of the major and important Changes in the next section, we move on to the plight of the small farm and farmer (yeah, that was sort of a pun) which in addition to contrasting the differences as they impact the player-character in Farmville 2, will also serve to provide you with a grounding in this new focus and reality for this agriculturally-based simulated world. At the risk of repeating ourselves, try not to stress on this, because this new focus is not simply a good thing, but in the end also ends up enhancing your enjoyment of the game because it adds a more personal – even intimate – sense to it all, and that is really the operative point: sense. Where the world of Farmville often caused the player to experience a disconnect between the player-character and their Actions and accomplishments, the world of Farmville 2 dials that relationship in tightly, and repackages the whole enchilada in an immersive and largely entertaining manner that will quickly convince most players that the lack of this presence and view point was what was really wrong with the first game all along! Now let us take a look at the Changes in the game and address how those changes will require you to rethink your basic Strategies and approach to the world of simulated farming on Facebook, shall we? How do I find Sea Salt? 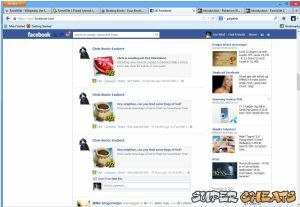 One of my friend recommends This Site exgamesell. * to buy fb credits , how u guys choose where to buy fb credits? How dose the inventory part work? how do i make heirloom cherries , pecans etc ? This is basically a tutorial on farmville 2 ,how do i actually get the codes for farmville 2?